Virtualization has moved out of the server farms owned by big-name enterprises and onto the wishlists of small- and medium-sized business owners. As a subset of virtualization, container technology is benefitting from this commercialization and becoming more accessible to everyone. Virtual containers are isolated computing environments that contain the bare minimum to open and run the application they were designed around. It’s easy to confuse containers with virtual desktops and plain old applications. A virtual desktop is a full-blown operating system packaged and quarantined on a server. Users can log in and interact with the virtual desktop over a network connection as if it were a physical workstation at their desk. Containers do away with most of the operating system fluff to accomplish just a few tasks. Virtual containers are like apps in that they provide pre-programmed functions, except that one container can run on any operating system and comes with storage space and processing power on the server running it. Virtual containers are an excellent way to create secure and efficient computing environments when you only need to perform a limited number of tasks, but they’re not easy to set up. Like every other major software vendor and cloud service provider on the market, Microsoft already offers container solutions through its Azure platform. 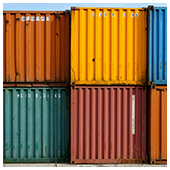 In July however, Microsoft introduced a new program for streamlining the process of creating containers. Dubbed Azure Container Instances (ACI), this new solution allows administrators to design and deliver containers in a fraction of the time. All it takes is a few short lines of code to outline how much memory and processing power you need, and everything is ready to go. The ACI program is currently limited to a beta test, which means you’ll be setting up your containers on Microsoft’s servers and paying to use them based on how much time you need them. Of course, Azure isn’t sacrificing security for the sake of simplicity. One of the many advantages of containers is the way they are isolated from each other. ACIs are no different, ensuring that if one of your containers were to be infected or compromised by malware, it would have no way of spreading to other containers stored on the same server. Additionally, Microsoft’s latest solution will retain the strict access controls that allow administrators to control who can use your containers and when they can do so. Are ACIs right for you? For the moment, simplifying creation is mainly about making it easy to design dozens of containers when you need a short burst in capacity. For most small- and medium-sized businesses, there are more opportunities in the flexibility of full-fledged virtual desktops than a fleet of containers that are limited to a few basic tasks. However, the fact that container creation has gone from a chore that required a certified professional to a few short lines of code in just a couple years bodes well for the affordability and accessibility of virtualization. When you have trained virtualization professionals at your disposal, the possibilities for cost savings and increased efficiencies are vast. To find out how we can enhance your security and decrease your dependency on hardware, give us a call today.